SignEasy is the easiest way to sign any document on your iPhone and iPad, and as legally binding as using a pen. Downloaded over 6 million times. Featured by Apple among the “Best Business Apps”, and the only e-signature app to feature in Apple's global commercials, SignEasy is trusted by entrepreneurs, freelancers, executives and enterprise businesses alike. Signing paperwork manually is time-consuming. It breaks your flow, and it gets in the way of more important work. With SignEasy you can sign, send and track documents directly from your iPhone and iPad. It’s FREE for your first 3 documents. 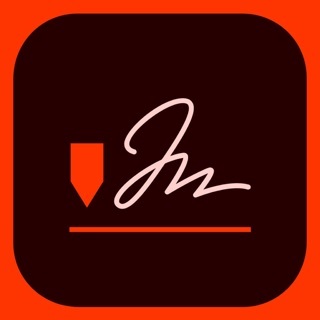 Quickly sign with your finger or stylus. Prefer using a pen? Simply write your signature on paper, snap a photo and upload it. No more waiting for important paperwork. Collect a signature from anyone in the world in minutes. Instead of carrying around bundles of paperwork, give your customers a fast and reliable in-person signing experience. •Secure and legally binding – Compliant with e-signature legislation globally, SignEasy protects you with bank-level SSL encryption and detailed audit trails for legal evidence. •Sign from within other apps – Sign documents from within your favorite apps (like Gmail, Outlook, Dropbox, Box, Google Drive, OneDrive, Evernote and 100s more). •Track your documents – Waiting for an important signature? Now you’ll know instantly when a document has been signed, and we remind those that are slow to sign. •Easy-to-use for everyone – Other signers don’t need the app or an account. Both your customers and your coworkers will love it because they can sign in seconds. •Guide signers for better accuracy – No more error-filled documents. With customizable fields, you can guide people to fill out documents accurately. •Save your signature and initials for even faster signing. •Turn common document types into reusable templates. •Allow signers to sign one-by-one (sequential workflow), or all at once (parallel workflow). •Sign documents offline and finalize later. Simple for busy individuals. Powerful for growing teams and bigger businesses. Easy to use for everyone. •Freelancers and entrepreneurs can sign documents like NDAs and contracts quickly. •Sales teams get signatures more easily and close deals faster. •Financial and legal firms speed up document signing to onboard clients. •Logistics and construction companies collect signatures in the field to eliminate slow and manual paperwork. •Big companies can ensure every employee handles paperwork efficiently. Whatever your needs, SignEasy helps you get paperwork done more efficiently. Download the app now, and see why our customers “can’t live without” SignEasy. Standard plan from $9.99/month, billed annually. •Unlimited document signing, cloud storage integration, advanced security, offline signing and more. Plus plan from $14.99/month, billed annually. •All Standard features, plus sending documents for signature, document fields, reusable templates and more. Premium plan, ideal for teams and businesses (www.getsigneasy.com/for-teams). •All Plus features, and custom branding, team dashboard, dedicated a/c manager and more. Subscriptions are charged to iTunes account at confirmation of purchase. The subscription automatically renews unless canceled at least 24 hours before the end of the current period. You can turn off Auto Renewal in the Account Settings after purchase. 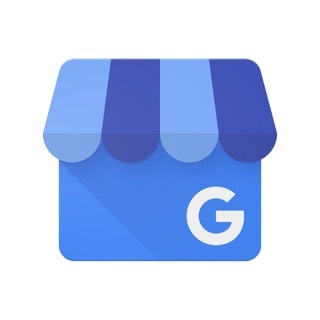 For questions, feedback or bugs, email: support@getsigneasy.com. We also know that you love telling your friends and colleagues about SignEasy - so why not earn something in return? Introducing our Referral Program - spread the love and earn FREE access to our advanced plans and features. With Template Links, you can share a public link to a template over email, text, or even publish it on your website. Anyone with the link can view and sign the document, thus making it a breeze for you to get the same document signed repeatedly. We now support Hebrew and Arabic, along with 22 other languages. Thank you for being a part of the global SignEasy community! This app has made both my costumers and I very happy. It is rather easy to set up and quick to use. Only down side and this is minor is that there is only accommodation for 3 signers but that can be worked around by saving and reopening the doc. Otherwise great app. Addendum: I had a few issues after the update just before this last one. To say I was upset is an understatement. However, I sent in an explanation of my displeasure. I included some screenshots and I am pleased to say that they took my concerns to heart and they were resolved in this last update. TY for listening and fixing my concerns.